The Lundes were the last of my families that came to the US. In fact, the hope of Theo Lunde was to return to Norway, and for that reason he gave all his children Norwegian names. Their son, Arvid C. Lunde, married Evelyn Anda. There is no book available on the Lundes because tracing them back to Norway was never a problem. Here is a description of the Lunde family prepared by the author's second cousin, Anne Lunde. The author's uncle, Lawson C. Lunde, prepared an invaluable family tree. This is a description of the traits of the Christiana branch of the Lunde family, to which the family in the US belongs. The traits described still have a lot of truth, generations later. Arvid C. Lunde wrote a book of family and other memories in 1982: "Arvid's Odd Book." 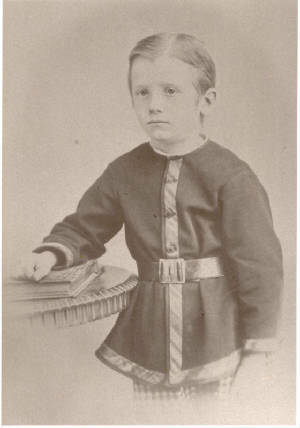 Theo Lunde was a skeptic about religion, but his son, Arvid, became an active member of the Edison Park Lutheran Church. Page last updated October 2, 2004.